What does 2019 have in store for the UK gambling market? It’s getting close to that time of year again – when expert analysts gather to predict the UK’s financial future over the next 12 months. Naturally, there is one clear obstacle in the way of forecasting anything: Brexit. With so much doubt around the form Brexit will take, if it happens at all, it’s virtually impossible to predict the markets with any degree of certainty. In the gambling sector, however, we don’t need Brexit to cloud our vision. Things are always pretty unclear – as gambling is an area that’s subject to regular reviews in regulation and legislation. 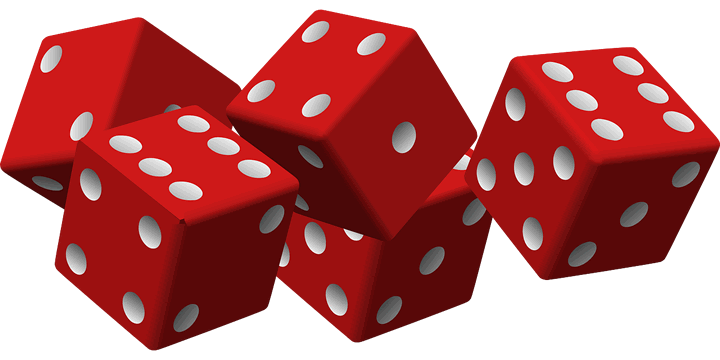 Gambling has risk and reward at its very core and any attempts to see into the future are pretty tricky. This is an industry with so many variables and things can change rapidly. Operators can pull out of a country with little warning while others, as we’ve seen in 2018, can shut down completely at short notice. Taking into account those variables and unpredictable elements, we can at least foresee some developments on the horizon that could be transformative for an already fast-paced and fast-growing industry. One of the most contentious issues in the gambling industry focuses on Fixed Odds Betting Terminals. 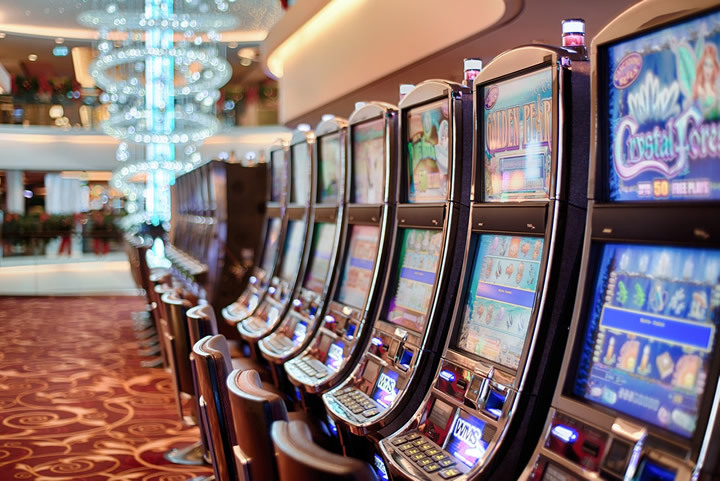 Commonly known as FOBTs, these machines have been widely blamed for causing problem gambling and doing nothing to alleviate matters for those with an existing gambling problem. Labour and their deputy leader Tom Watson have been particularly vocal against FOBTs and as a result of a review, the maximum stake allowable for these machines will be reduced from £100.00 to £2.00 in April 2019. While the move has been welcomed in many quarters there are fears of job losses throughout the gambling industry. These machines exist only in physical betting shops and one report claims that one of the biggest betting brands on the high street may be forced to close up to 900 shops as a result of the clampdown. The ruling on FOBTs has already made a financial impact on that particular bookmaker and others expect to be affected by the new ruling. It’s therefore one factor to consider when making 2019 projections about gambling – particularly as it could have a huge impact on the revenue land-based operators and betting firms make, and in turn, pose a consequence for the 100,000 people currently employed at branches across the UK. It seems likely that betting firms will have to let go a significant proportion of staff, following in the wake of many bricks-and-mortar retail giants of the past. 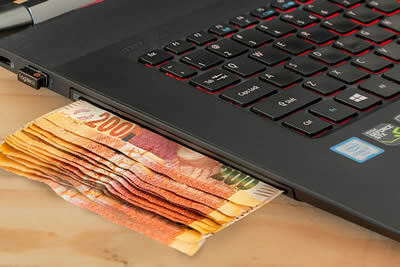 The online betting industry is worth billions and from 2016 onwards, the gambling commission in the UK confirmed that more revenue was generated from digital operators than from any other source – pulling in more than one-third of the total number. Those figures include funds generated from the National Lottery, where many players still buy tickets and scratch cards from physical shops, so it’s an impressive statistic. Online operators have an advantage over their counterparts in the physical world as in the first instance, they aren’t simply limited by space. That means they’re able to offer a wealth of online games – from slots right the way through to casino classics – giving players the chance to bring the casino experience into their living room. What’s more, these games are more immersive and engaging than ever before, thanks to increased competition pushing up standards, as well as enhancements in digital technology. The games available in virtual casinos are now so advanced they’re competing for dominance with leading gaming titles. This is evidenced by the continued growth of the global online gaming market, which is close to touching a valuation of around $60 billion. In such a crowded market, it’s imperative that these online casinos stand out as much as possible and offer a unique look and feel as well as a wealth of gaming options. With chequered flooring and a Wurlitzer soundtrack based on a vintage Vegas gambling scene, one place you’re guaranteed to get an exceptional experience is at 777 online casino. Given the projected growth of online gaming worldwide, it seems safe to assume the online casinos will continue on an upwards trajectory. As we touched on, the hardest point to predict at the moment surrounds Brexit – however, the possibility of gambling companies relocating in the wake of any deal is very real. Many have headquarters in the UK and there is already talk of companies moving overseas in 2019 with some operators having already outlined their initial contingency plans. One of the concerns in relation to Brexit is the potential for big tax increases to apply in the betting industry and that could deter investment by operators based in the European Union and beyond. There are precedents here – the most recent of these came along in 2014 when tax started to be applied on a point of sale basis. As a result of that switch, a number of operators closed down their UK operation and potential customers from Great Britain could no longer sign up. In some cases, they were blocked from even accessing the site. Despite that possible setback, the gambling industry continued to grow to the point where, in the UK alone, it was set to bring in up to £14 billion in revenue in 2017. Tax changes may come as a result of Brexit, but this time around, the gambling sector could be better equipped to deal with them. In December, Britain’s biggest gambling operators agreed to stop adverts during live sports broadcasts. The deal was suggested and implemented by members of the Remote Gambling Association, and will mean no gambling promotions will be run any longer during sports game broadcasts. The agreement is similar to the one proposed by Tom Watson, who said problem gambling was a “public health emergency”. It comes as the RGA said it was “very mindful of public concerns”. While it remains to be seen what impact this will have on the gambling market, it’s without doubt a significant development in the industry. The gambling industry in 2018 has fought through two significant threats – Brexit and the issues surrounding FOBTs and so far it has continued to thrive and grow. We have, however, seen the potential concerns over job losses and falling revenue following the announcement over the £2.00 maximum FOBT stake and that will clearly have a say in market projections when the ruling becomes law in April of next year. Those losses will be devastating for all concerned. However, the online side of the industry is poised to grow and take advantage of the shortfall that betting shops may suffer. Throughout 2018, we’ve continued to see new operators come into a crowded market and, while we’ve lost some names this year, this has largely come about through takeovers and mergers as opposed to a failure to command a market share. While there are some big challenges confronting the gambling market in the 12 months ahead, it has defied the odds before and few would bet against it doing so again. © 2018 Copyright Jamie - All Rights Reserved Disclaimer: The above is a matter of opinion provided for general information purposes only and is not intended as investment advice. Information and analysis above are derived from sources and utilising methods believed to be reliable, but we cannot accept responsibility for any losses you may incur as a result of this analysis. Individuals should consult with their personal financial advisors.